Copy files from your Samsung Galaxy Note to your PC over a Wi-Fi or USB connection. 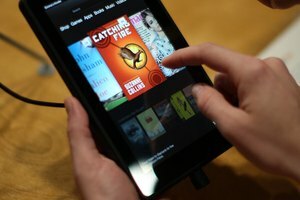 Transfer videos and other media files to your computer from your Samsung Galaxy Note using the Kies Air feature over a Wi-Fi network or by using the phone as a USB mass storage device connected to the computer. 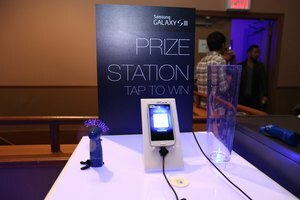 To connect the Galaxy Note to your computer in mass storage mode, you'll need the optional Samsung Galaxy Note USB cable. To connect the phone to your computer wirelessly using the Kies Air feature, the phone and computer must be connected to the same Wi-Fi network. 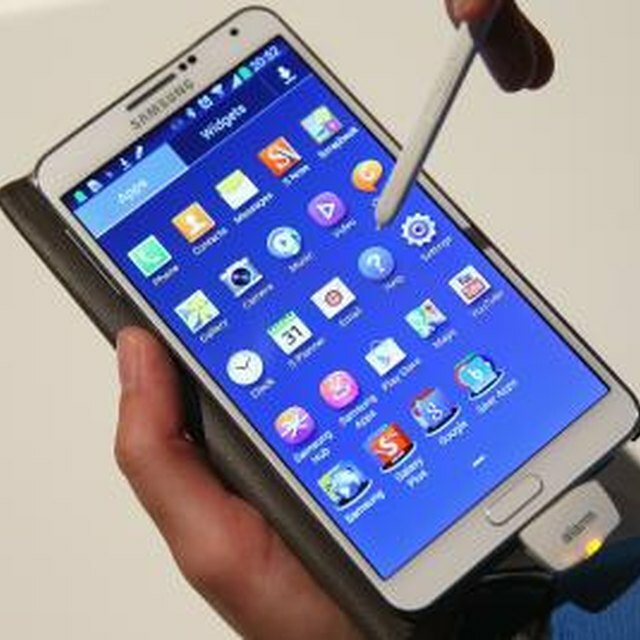 Tap the “Applications” icon on the home screen of the Samsung Galaxy Note to open the Applications screen. Tap the gear icon to open the Settings app. Tap the “Wireless and Network” tab, and then tap the “USB Utilities” option to open the USB Utilities menu. Tap the “Connect Storage to PC” option in the USB Utilities menu. Connect the Galaxy Note USB cable to the micro-USB connector on the phone. 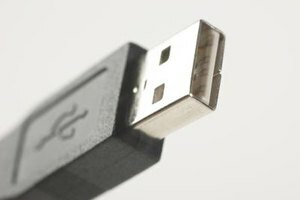 Plug the larger end of the USB cable into a free USB port on the computer. The phone registers to the computer as a removable drive. Press the “Windows” key, and then start typing “File Explorer” to search for the File Explorer application. As you type, the shortcut to the application displays on the screen. Click the “File Explorer” shortcut to open Windows File Explorer. Click the “Galaxy Note” removable drive entry int he left navigation pane. The file system of the phone’s SD card displays in the right pane. Navigate to the “Videos” folder on the SD card, and then drag and drop video files from your phone to your computer. Tap the “Disconnect Storage from PC” option on the phone, and then unplug the USB cable from the device to disconnect when finished transferring files. Connect to your Wi-Fi network with both your computer and the Samsung Galaxy Note. Tap the “Applications” icon on the Galaxy Note, and then tap the “Kies Air” icon to launch the app. A URL displays on the screen. Open a Web browser on the computer, and then type the URL displayed on the phone into the address bar. Press “Enter.” An access request is sent to the phone. 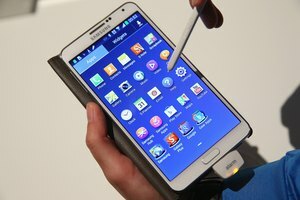 Tap “Allow” on the Galaxy Note to enable the computer connection. The User Access Control dialog box may display on the computer. Click “Run” to authorize the Kies application. A connection is established between the phone and the computer. Instructions for transferring files displays on the phone. Follow the on-screen instructions to transfer video files from the device to the computer. When finished, tap “Stop” on the phone to disconnect. Close the Web browser on the computer. You can also transfer videos saved on your phone’s SD card by inserting the memory card into a card reader connected to your computer and copying the files to your PC. Information provided in this article applies to the first generation Samsung Galaxy Note. Instructions may vary slightly or significantly for other Samsung Galaxy devices. Blackburn, Randall. "How to Transfer Videos From a Galaxy Note to My Computer." Synonym, https://classroom.synonym.com/transfer-videos-galaxy-computer-5987.html. Accessed 25 April 2019.